A new study released by the Insurance Institute for Highway Safety blames rising speed limits for 37,000 additional highway fatalities over the past 25 years, including more than 1,900 in 2017 alone. 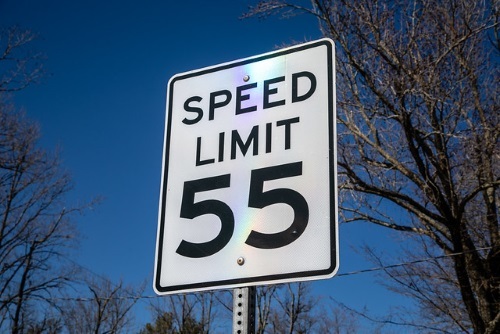 The group’s research – an update to a study it conducted in 2016 – analyzed the effect of changes to the maximum posted speed limit in every state from 1993 to 2017. Looking at annual traffic fatalities per mile traveled for each state and taking into account other factors that affect fatality rates, including changes in unemployment, the potential involvement of younger drivers who tend to be more at risk for crashes, and the seat belt use rate. According to IIHS’ 2019 study, a 5 mph increase in the maximum speed limit was associated with an 8 percent increase in the fatality rate on interstates and freeways — the roads most directly affected by changes to the maximum speed limit — and a 3 percent increase on other roads. In total, over the 25-year study period, there were 36,760 more deaths — 13,638 on interstates and freeways — and 23,122 on other roads than would have been expected if maximum speed limits hadn’t changed over that time. Of the 37,133 people who died on U.S. roads in 2017, IIHS estimates that 1,934, or 5 percent, would still be alive if speed limits hadn’t changed since 1993. The group also noted that 41 states now have maximum speed limits of 70 mph or higher and six states have 80 mph limits, while drivers in Texas can legally drive 85 mph on some roads. However, some states are working to lower speed limits on certain roads based on their own analysis. Last year, a safety study conducted by the Illinois Department of Transportation convinced the agency to reduce speed limits along certain stretches of two major highways by 10 mph. Based on its study of I-74 and I-57 in the Champaign-Urbana area, the Illinois DOT concluded that – given the current prevailing speeds, crash rates, and number of interchanges – reducing the posted speed limit from 70 mph to 60 mph along a portion of I-74 connecting to I-57 was justified. “Reducing the speed limit of through traffic to closer to that of traffic from interchanges gives drivers more time to react, thereby reducing the severity of a crash or avoiding one altogether,” the agency stressed at the time.